Do you know who was asking the whistle-blowers to stop? Do you know who was encouraging the people determined to disturb and attack the Women of the Wall to back down? It was not the Magavniks. It was not the Kotel authorities. It was not defenders of Women of the Wall. It was Ronit. It was Jenni. (It would have been Leah but she’s out of the country.) It was Women FOR the Wall. It was Orthodox and Haredi Women! Do you know who invited ALL women to join in unified prayer at Judaism’s holiest site, together with thousands of other observant and non-observant Jews? It was not the Women of the Wall. 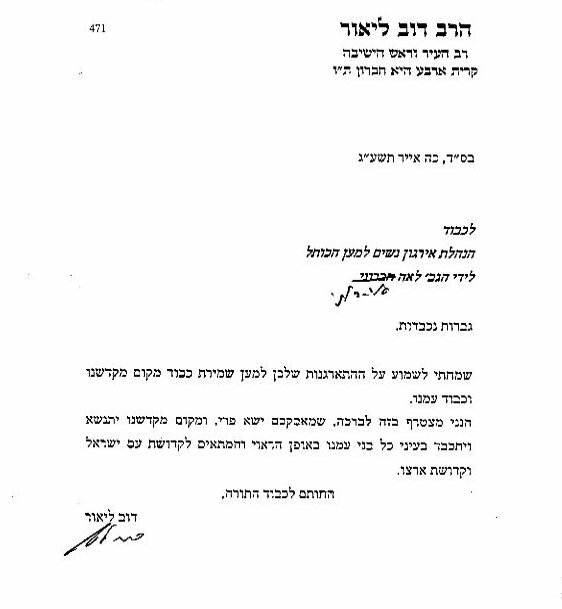 Again, it was Ronit and Jenni, the Orthodox (even Haredi in Ronit’s case!) leaders of Women FOR the Wall! The modest, beautiful and peaceful methods they chose in defending the Kotel, their beliefs and Jewish women worldwide is to be admired. Jewish women, wishing nothing more than to pray in the same style and tradition of centuries of Jewish women and Jewish people before them (see Women of the Wall’s Collateral Damage in the Jewish Journal, by Leah Aharoni). And yes, some people from Women FOR the Wall were protesting at the Kotel. Including their leadership. They were protesting whistles. Protesting shouting. Protesting hate. Attention seeking, imposing change on tradition/local custom, Holocaust analogies (thank you, Daniel J. 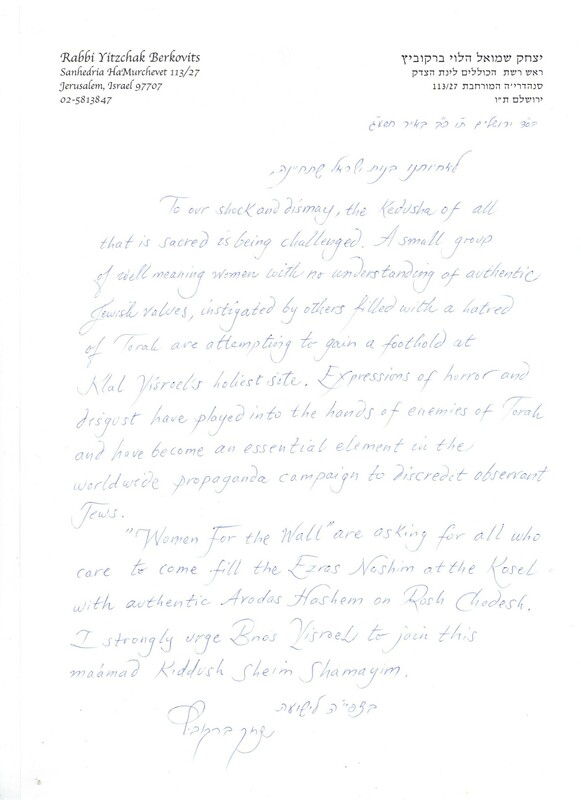 Levy in your article, An Open Letter to the Women of the Wall) and playing victim is not the way to protest. Don’t forget, Women FOR the Wall is not asking you to change. They are asking you not to change them.